Preparing your kids for the new school year? 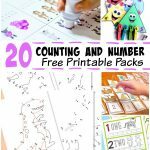 We’ve designed a cool pack of Back to School Counting to 5 Worksheets for your kiddos to start the year with. 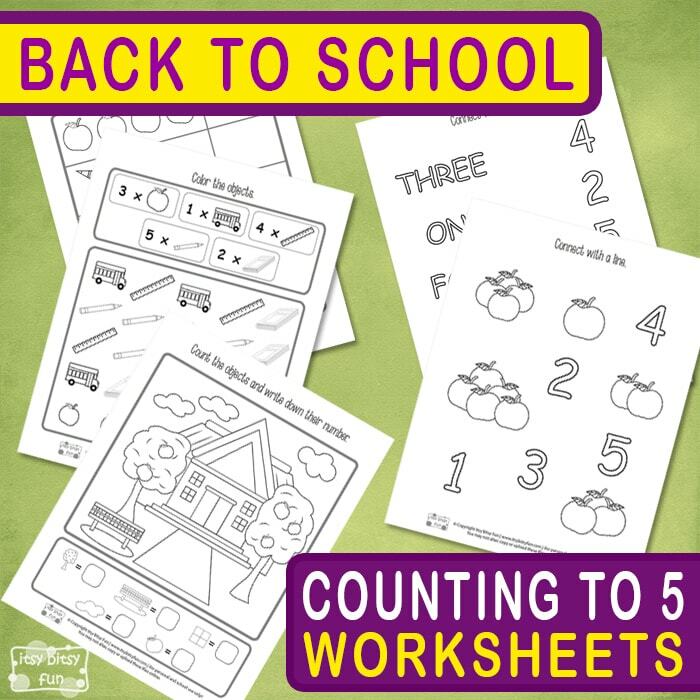 Do some counting exercises and enjoy coloring the “back to school” themed images with a help of these worksheets. One, two, three, four, five! Let’s dive into the world of numbers and do the introduction to mathematics using these fun worksheets. 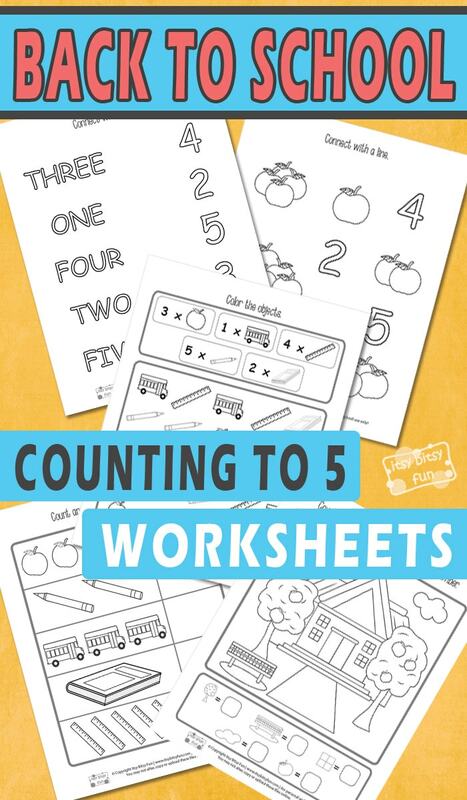 These free counting to five worksheets are perfect for beginners. The pack includes 5 black and white pages that will keep your little ones busy and entertained for hours. The first page is a “connect with a line” exercise. Kids need to count the apples and recognize the right number to connect them with. To make it a bit more fun, kids can color the numbers and their amounts with the same colors to remember them better. The second page is an “I spy” game. Find out how many trees, benches, windows, clouds, and apples are hiding in the image and write down their numbers in the boxes below. Continue with some more counting and writing on the third page. On the next page, there is a bunch of different objects in the square below. Kids need to color three apples, one school bus, four rulers, five pencils and two books. And on the last page, kids need to recognize the names of the numbers and connect them with a line. 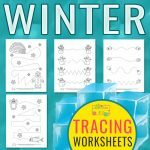 All of the pages are printer-friendly, so encourage your kids to color them using their favorite crayons and markers to make the exercises even more fun. 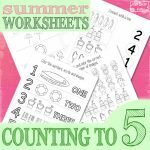 Get your free Back to School – Counting to 5 Worksheets here. 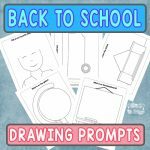 Practice some more with Simple Back to School Printables and have fun playing the Back to School File Folder Games.